It’s been a bit quiet round here lately. I’ve been busy moving flat and haven’t yet found a workshop (if anyone’s got a shed near Stoke Newington, let me know). 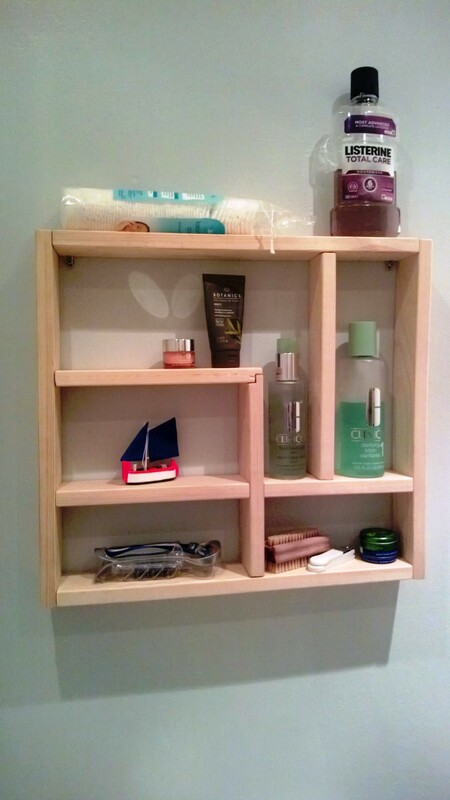 But this weekend I made a little bathroom shelf. It was essentially a copy of something I saw in a shop called Homage, which I couldn’t afford. Which makes it a homage to Homage. And a rip-off of a rip-off. Here’s a 6 second timelapse of me in action. Previous Post La souris est en dessous de la table!